Reg Twigg was born at Wigston (Leicester) barracks on 16th December 1913, ten years after the first powered flight. His early life was moving with his father’s Regiment but it was a poor, hard life and he grew up tough and sharp. In his youth he would cycle to Wales, play football or camp in the Leicestershire countryside. His first job was in a factory smoothing wooden shoe heels ending each day covered by sawdust but he earned enough to banish the hunger of childhood. So, when he was called up to the Leicestershire Regiment in 1940 he would happily eat the often insect covered Army food that others rejected. Then, instead of fighting Hitler, he sampled the pleasures of Singapore until the Japanese threat found him digging trenches in monsoon rains, plagued by insects and leeches. In action from the first battle at Jitra, wounded in heavy fighting at Singapore, he watched an army fall apart but he decided he would survive. 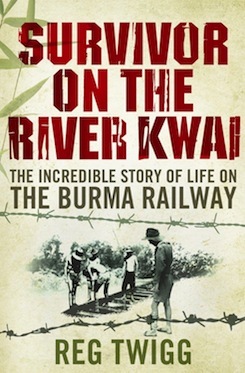 A prisoner of war on the notorious death railway in Thailand for three years, he saw friends die or murdered but whilst most prisoners awaited their fate Reg stole from the Japanese, trapped animals and even made tobacco; he still recalls the wonders of the jungle, the passions that flickered amongst the prisoners and the occasional humanity of a few guards. 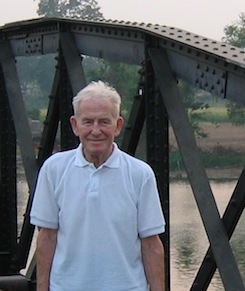 He worked as a warehouseman until retirement, cycling 20 miles daily in to Leicester. His wife Kathy died in 1999 but he was camping until his 94th year and although he now has difficulty walking he still loves life and still has a ready smile and twinkle in the eye. Reg found Andrew through his son Clive and the Writers and Artists Yearbook. The submission of sample chapters brought an immediate response from Andrew and from that time Andrew’s support, guidance and commitment has meant that an old soldiers remarkable will receive the recognition that it merits.